Click here to register to this workshop now! Limited Seats Available. Debbie J McIntyre is a talented self-taught artist with interest in all sorts of art medium such as oils, acrylics, watercolour and even digital painting. Art brings her peace and takes her places beyond worlds. Painting allows her to capture movement and life–making the brush and paint resonate. She enjoys music, cooking, reading and travelling as well as meeting new people. She is also a visual recording practitioner who turns live talks into visual images, helping people see ideas! 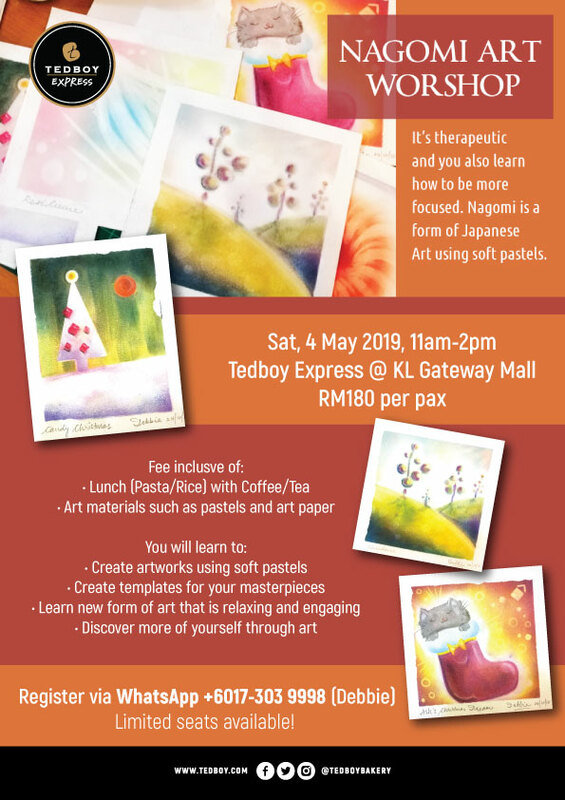 Pastel Nagomi Art is a form of Japanese art healing, uses pastels and fingers to create gentle, soft and heart-touching art through simple yet unique ways of painting techniques. This therapeutic art nature is able to increase self-awareness and self-discovery as well as enhance self-esteem and confidence. The results are always magical as it is able to soothe emotions, calm down and relax the mind, reduce stress and depression. any age from young children to old folks are able to paint!